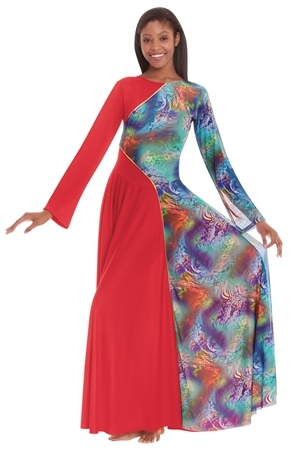 A classic praise dance dress with multi-colored mesh insets along bodice and skirt with a mesh sleeve. 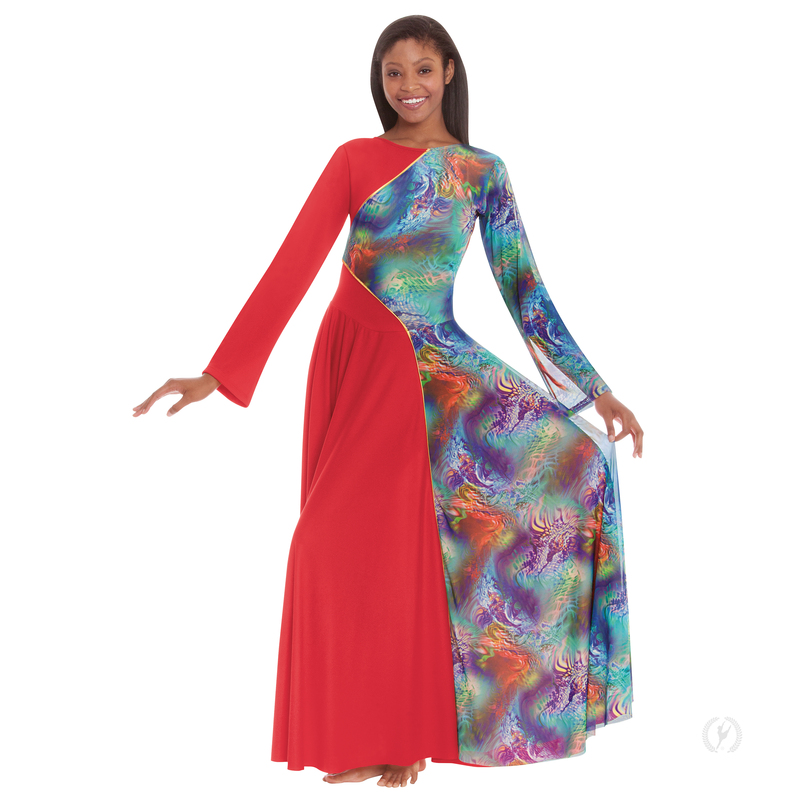 Discontinued dress. Limited quantities. Please check stock prior to ordering. !